Mauritius is an ultimate tourist attraction island with plenty to see and enjoy. You have options on choosing sea excursions, cultural sightseeing, nature, extreme adventures and so much more. Putting myself in your shoes can be overwhelming with all these possibilities. So today, we will narrow down to south island tour attractions, to make your selection much more straightforward. The most beautiful and wildest landscapes of Mauritius Island lie in the South: mountainous terrains that offer magnificent panoramas and sandy beaches bordered by rocky shores, cliffs as well as beautiful greenery as far as your eyes can see. The Southern part of the Island is perhaps the most interesting for adventurers visiting Mauritius. Chamarel is a lovely village in Mauritius in the Rivière Noire District. The town is primarily known for its scenic attractions. Some of the most popular attractions here include the Chamarel Waterfall, Chamarel Seven Colored Earth, The Rhumerie de Chamarel, Chamarel Curious Corner and the Ebony Forest. 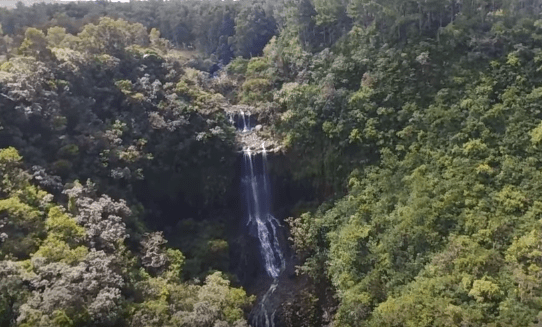 The Chamarel Waterfall, which is the highest waterfall in Mauritius, will offer a scenic view of the waterfall cascading down against the picturesque backdrop of green mountains and forests. 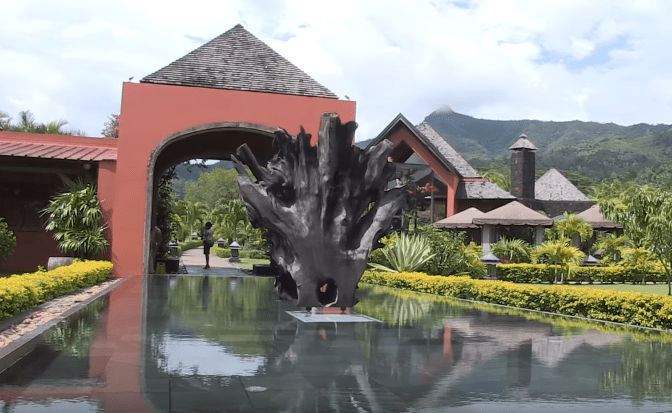 Rhumerie de Chamarel is located in the Southwest part of Mauritius right in the heart of a fertile valley. Vast plantations of sugarcane and pineapple growing side by side surround the distillery. It has a unique sense of authenticity and warmth, welcoming visitors for a tour experience ranging from a guided walk through the distillery and rum tasting. You also get to taste delicious meals at the L’Alchimiste and restaurant as you marvel at the unique distiller’s design which harmoniously blends with nature. The seven coloured earth is a significant tourist attraction and a geological curiosity in Mauritius. The area is a relatively small area –about 7500 m2 – featuring a strikingly bare landscape situated within a dense, vast forest. The earth surface here is particularly unusual and fascinating. It was created by volcanic rocks which cooled at varying temperatures, resulting in beautiful color patterns on the exposed hillsides. The stones were fine-grained into sands with different shades of brown, grey, red and purple. As the earth was exposed, rains carved patterns of numerous beautiful colors into the hillside. A visit to this park also allows you to walk along trails and between many dunes to explore this unique site. Just close to the Seven Colored Earth entrance is the Curious Corner which is a house filled with a wide range of bewildering delusional fantasies and adventures you can enjoy with friends. Below are more details about The Curious Corner of Chamarel. Mirror maze provides an exciting venture for the mind and body. It is a consolidation of finite reflections, striking light effects and secret corridors that continually challenge your mind. How? It surrounds you with 200 mirrors and leaves you with the daunting task of figuring out your way out of the enigmatic setting. The intricate entanglement results from a combination of convex and concave mirrors that effectively tilt your sense of orientation thus arousing your curiosity. vertically, that is the ceiling switches position with the floor and vice versa. The preceding is, precisely, what you get here. look. The person who stands on the left corner of the space will appear tiny while the one who stands at the one to the right of the room gets a massive appearance. Seeing is believing. So, visit the place and do it practically. A visit at the Ebony Forest will allow you to explore a forest reserve and discover the few native animal and plant species remaining on the Island. 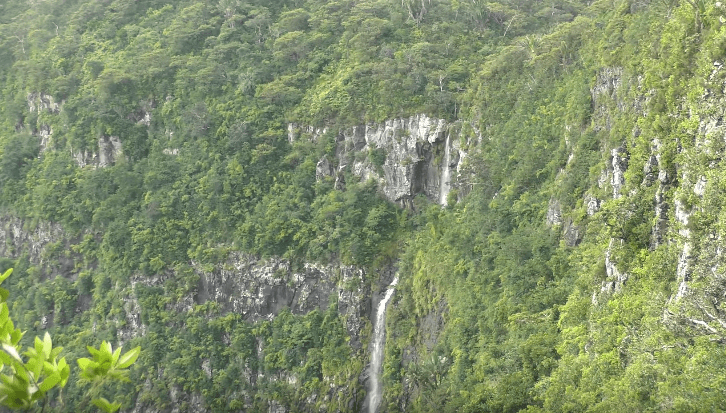 The Black River Gorges Nature Park is on the hilly south-western part of Mauritius. The park covers an area of about 67km² including the humid upland, marshy heath land and drier lowland forest. Some of the facilities for tourists here include picnic areas, information centers and up to 50 kilometers of trails. A guided tour will drive you through the Park where you will see various endangered species of animals and plants. There is an excellent viewpoint along the way at the Alexandra Waterfalls. 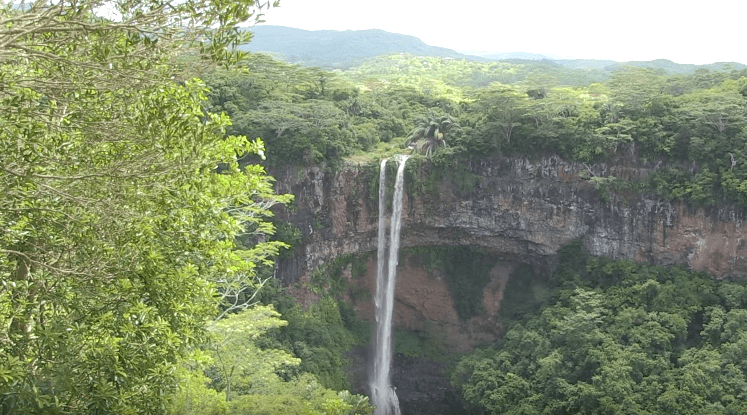 The Black River Gorges Waterfall also offers a view of beautiful western Mauritius. The Iconic Alexandra Falls is located about 700 meters above sea level in the Black River Gorges National Park. The lush green of the region, the rich, diverse flora and fauna and the stunning landscape make it a great way of connecting with nature. You can access the waterfalls through the Grand Bassin, where you will find the Alexandra Falls Viewpoint signpost and plenty of parking. Once there, you will appreciate the spectacular waterfalls as they cascade over the rocky outcrops. You also get to enjoy a tranquil moment surrounded by a virgin green valley, home to some endemic flora and Evian species. Grand Bassin is a lake located about 6km Southeast of Mare aux Vacoas, in the Savanne District, in the inner parts of Mauritius. The lake is about 550m above sea level. Grand Bassin together with its Hindu temple is considered a holy lake to Hindu Mauritians. The lake is in the crater of a passive volcano. There is a myth that the waters inside this lake communicate with the holy Ganges waters in India. For this reason, the Mauritian Hindus declared this lake as holy lake. The Grand Bassin is a pilgrim place and every year Hindus flock to this place to honor Lord Shiva. 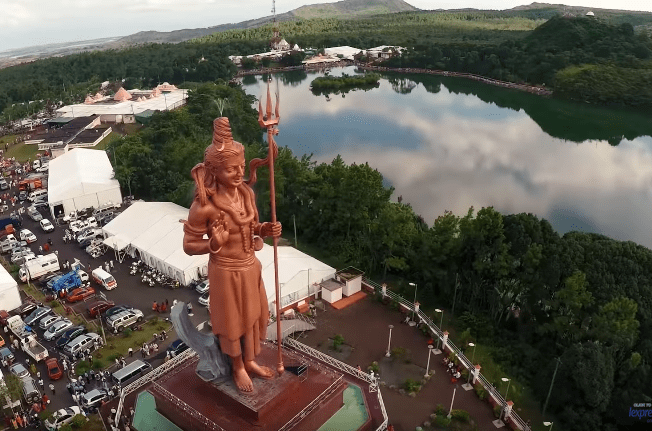 There is a colossal statue of Lord Shiva known as ‘Mangal Mahadev’ just at the entrance of the lake when arriving from the North of the island. We’ve also sampled a few of the top Southern Mauritius attractions, but as you can see, this Island has much more to offer. Whether you want to interact with nature on a nature trail, enjoy waterfalls or marvel at magnificent earth formations, this side of the Island has got you covered. Floreal is a little city in Mauritius famous for its posh vibes. The town features everything you may ask for whether it is history, character, enjoyment, eccentric products, or experience. Floreal Square is the city’s major tourist attraction, where you will find all kinds of boutiques and brands for shopping at a reasonable price. There is also a chain of eateries for you to indulge in delicious comfort food. Aside from this, the vital infrastructure, hospitality and quality horse-racing occasions in Club Hippique de Maurice will add value for your vacation experience. Adamas is the most famous diamond showroom in Mauritius. The latter has been a part of the city of Floreal and Curepipe since the 70s. The town swears by the authenticity of the showroom, and you’ll be able to find different varieties of diamond all in 1 location, be it associated with the colors, unique designs, a degree of purity, or reduce silhouette of the diamonds. The showroom also offers custom made collectible jewelry if you would like something unique. 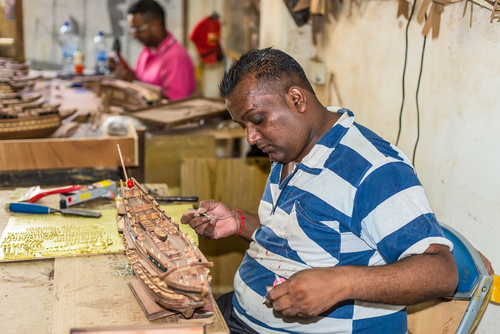 Even if you are not in the shopping mode, visiting Adamas as part of your trip and witnessing the fantastic skills of Mauritian artisans will be a lavish experience.